Traversing an astonishing breadth and depth of musical invention, J. S. Bach’s Six Suites for Violoncello Solo form the cornerstone of any cellist’s repertoire. They fluently navigate a wide range of musical styles and techniques, from rustic drones (Suite 6, Gavotte II) to fugue (Suite 5, Prelude). 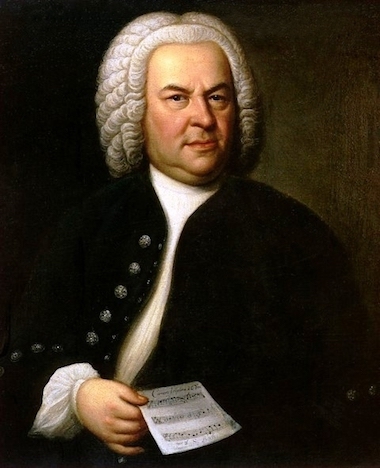 Probably composed sometime between 1717 and 1723, Bach wrote them while serving the prince of Anhalt-Coethen in a little town one hour’s drive northwest of Leipzig. Bach managed a small but skillful group of musicians in Coethen, many of whom had connections to Berlin. Because the prince was a Calvinist, he did not require large-scale church music, so Bach instead composed instrumental works. The suites probably had their first performance at court, for a private audience. The cello suites were not well known until the Spanish cellist Pablo Casals (1876 – 1973) recorded them in the 1930s. His recording stands not only as an important historical document of early twentieth century performance practice, but also as an interpretation of nearly unsurpassable majesty and mastery. Many cellists have subsequently recorded the suites, including Pierre Fournier, Mstislav Rostropovich, Yo-Yo Ma, and Anner Bylsma, among others. Performing the suites poses several musical and technical problems. First and foremost, one has to come to grips with the particular styles of dances. “Suite” literally means “to follow,” and so a suite is a series of dances. The order of dances in a baroque suite was typically Allemande – Courante – Sarabande – Gigue. This basic model could be expanded. A Prelude often appeared before the Allemande as a way to allow the performer to check his or her tuning. Bach’s Preludes are far more elaborate than those of composers who came before him, and they usually explore particular idiomatic styles of figuration such as in the Prelude to the first suite. The fifth suite is an exception: beginning with a slow introduction in the French style, it concludes with an elaborate fugue. A composer could also expand the basic four-movement model by inserting additional dances after the Sarabande. These shorter dances were called Galanteries. In his cello suites, Bach inserted Minuets, Bourées and Gavottes between the Sarabande and the Gigue. Few actually danced these dances any longer in the early eighteenth century, but Bach was sensitive to the particular character of each. The writings of Johann Mattheson (1681 – 1764) provide one of the best contemporary sources of information about the baroque instrumental dance in Germany. According to Mattheson, “…the Allemande is a broken, serious and well-constructed harmony, which is the image of a content or satisfied spirit, which enjoys good order and calm.” The word “allemande” means “German” in the French language, but this does not necessarily imply that it was a dance exclusively enjoyed by Germans. Of Bach’s Allemandes, the most curious one appears in the sixth suite. It is exceptional for its unusually slow tempo, inordinate length and breathtaking lyricism. Regarding the Courante, Mattheson wrote that it conveyed “sweet hopefulness.” Courantes are somewhat faster than the Allemande, and the word itself means “running” in French. Perhaps the most vivid expression of a “running” Courante comes from the second suite, where the music consists almost entirely of rapid sixteenth notes. On the other hand, the Sarabande was typically the slowest movement in the suite. Mattheson wrote that it contains “no other emotion but ambition...it permits no running notes, [because it] maintains its seriousness.” The Sarabande was in triple time, but the second beat usually receives more emphasis than usual. One of the most remarkable Sarabands is in the fifth suite. It is a piece of almost unspeakable pathos and sadness: Yo-Yo Ma played it on the occasion of the first anniversary of the September 11 World Trade Center attacks. Taking its place in last position, the Gigue was “not used for dancing, but for fiddling (from which its name may also derive,) [and instrumentalists] force themselves to extreme speed or volatility; though frequently in a flowing and uninterrupted manner: perhaps like the smooth arrow or swift flow of a stream.” Bach’s Gigues all express these ideas, and yet some of them – such as the one from the third suite – often convey a keen sense of humor and wit. The typical order of movements in a suite – starting with a Prelude and ending with a Gigue – is essentially a move from high to low: or one might say, from serious to silly. If a suite starts in the church, it would surprise nobody to find it end in the barnyard, among the clucking chickens and braying goats. Because all the movements of a suite are generally in the same key, the composer must hold interest through means other than tonality. The succession of dances, with their idiomatic characters, tempos and rhythms serve as a very effective means of creating such variety. The ability of the performer to express diversity through articulation, tempo and rhythm is essential to communicating the distinct character of each dance. But what kind of instrument is ideal for playing these pieces? Certainly, the cello? It turns out that this question is not as simple as it might seem. All of Bach's six suites can be played on a normal cello, with some caveats. The first four suites use regular tuning, but the fifth requires scordatura. This means that the top string (normally, A) must be tuned down to G. This practice was rare, but not all that uncommon in Bach’s time. However difficult it is to negotiate the scordatura, the sixth suite proves even more vexing. It is written for a five-string instrument, tuned (from bottom up,) C – G – D – A – E. While some speculate that it was intended for a violoncello piccolo, others suggest that Bach had the viola pomposa or a viola da spalla in mind. In several cantatas, Bach wrote for a violoncello piccolo, which was held between the legs as a normal cello, but slightly smaller in size than an ordinary cello. The sixth suite can be played on a normal cello -- despite Bach's indication of a five-string instrument -- but it is extremely difficult to do so! 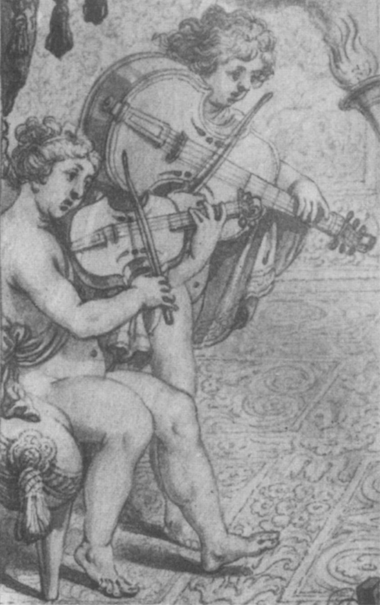 Bach’s first biographer, Nikolas Forkel, wrote of the composer’s interest in the viola pomposa, which “was tuned like a cello but has one string more at the top, is somewhat larger than a viola, and is so attached with a ribbon that it can be held on the arm in front of the chest.” It is possible that Bach intended the sixth suite for the viola pomposa; a myth perpetuated by the early eighteenth century writer Georges Kastner even claims that Bach invented it! As Christoph Wolf observed, Bach was interested in newer instruments and he encouraged the development of the oboe da caccia and the fortepiano. But, nowhere do we have any evidence that Bach invented new instruments himself. Different writers give wildly different accounts of the viola da spalla, but the scholar Dimitry Badiorov recently noted that da spalla refers not to a particular instrument per se, but rather to a technique of playing a larger instrument strapped across the chest, like a guitar. With all this confusion, it is important to remember that Bach never specified exactly what instrument the sixth suite should be played on. It is up to the performer to decide what to do. I studied traditional classical music as a violinst and violist, and spent a few summers playing the cello in high school. 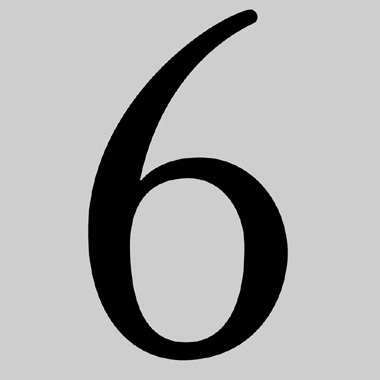 I always approached the suites as a violist, never knowing quite what to do with the sixth. In fact, I studiously avoided it, terrified by the considerable technical challenges. William Primrose, the great Scottish violist, declared that it was “totally unsuited to the viola…it is imprudent to attempt it, for the results are usually deplorable.” Primrose omitted it altogether from his edition of Bach’s suites. For many years, I have enjoyed a career as a performer of seventeenth and eighteenth century music on historically accurate instruments. Those of us in this business fret over the exact gauge of gut string we use, whether a modern copy is of an early or late Amati, or how much camber (or curvature) a bow has. We weigh our bows to the half-gram and compare their length to the millimeter. For someone who has invested so much time and energy in learning to play eighteenth-century music on baroque instruments, it may seem somewhat odd that I choose to perform them on an instrument that had not even been dreamed of in Bach’s day – the electric violin. Perhaps even more vexing for my baroque colleagues might be my choice of a carbon fiber bow specially designed for electric instruments with more than four strings. Yet, the setup feels very good to me, and I like to think that Bach might have been interested in all that was new and modern if he were with us today. And, the instrument has exactly the five strings that are needed for the cycle -- so I don't have to switch instruments. I am very fortunate to own an absolutely beautiful electric violin manufactured by the firm Zeta in Bozeman, Montana. This is the same kind of instrument that the famous jazz violinist Jean-Luc Ponty uses. It is superbly crafted and feels like a real instrument, not a toy. When I started playing the electric violin late in 2016, it soon became clear that the physical energy required was considerably less than a comparable acoustic instrument. I could play much longer on it than on a regular viola. It then occurred to me that it might actually be possible to play all six suites on the same program. The suites place extremely high technical and musical demands on the performer, not to mention the listener. Not suitable for a traditional concert setting, it seemed more appropriate to perform the cycle outdoors, where people could come and go as they pleased. I hope to perform the cycle many more times outdoors in the coming months and years, using the lovely five-string Zeta violin that Stephen Carlson made for me in Bozeman, Montana. To seriously take up the challenge of making Bach’s 300-year old music speak to those alive today is certainly one of the greatest joys a musician can experience.